If you are looking for information on the Oxi Fresh Carpet Cleaning franchise business opportunity, Oxi Fresh Cleaning franchises or Oxi Fresh franchising, then you have come to the right place. Partner with the Frontrunner in Carpet Cleaning! Oxi Fresh Carpet Cleaning® is now the frontrunner in the evolution of the carpet cleaning industry! What makes Oxi Fresh Carpet Cleaning® a top carpet cleaning franchise? Our wealth of business experience and our innovative products, proven to make carpet like new right before the customer's eyes. Oxi Fresh Carpet Cleaning® uses a powerful three part oxygenated cleaning solution that breaks down carpet stains while encapsulating them, so that they can be effectively removed from the carpet pile. Our all natural carpet cleaning system is safe for children and pets, leaves no sticky residue, reduces returning stains and has a one hour average dry time. The power of oxygen is undeniable; Mother Nature has utilized oxygen to naturally purify the earth for thousands of years. Now, Oxi Fresh Carpet Cleaning® is offering the peak of carpet cleaning innovation to potential franchise cleaning business owners everywhere. Oxi Fresh Carpet Cleaning® is committed to being a green and environmentally friendly business. While many carpet cleaners leave customers unsatisfied with their soap based cleaning process, Oxi Fresh Carpet Cleaning® uses the power of oxygen to naturally clean carpets! Their all natural solution creates a powerful, one of a kind oxygenated carpet cleaning system. But the eco-friendly system does more than just clean carpets! It promotes a healthier environment for families by removing dust mites, allergens, soils and contaminants. Our one hour dry time helps to reduce the possibility of mold and mildew. No matter how small or large the project, our dry, effective, and environmentally friendly carpet cleaning system is sure to please customer after customer. Oxi Fresh Carpet Cleaning® has taken the guess work out of marketing and knows how to get the phone to ring! Oxi Fresh Carpet Cleaning® offers more to its franchisees than a name, logo and cleaning system. We offer tested and proven marketing campaigns ready for use by each new Oxi Fresh Carpet Cleaning® franchise owner. It only takes few phone calls to implement your carpet cleaning franchise marketing campaign. Templates have already been designed for you as a franchise owner. All you need to do is insert your city's name, phone number, and pricing information. You also receive a list of vendors and National Accounts saving you time and money. 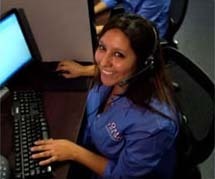 Oxi Fresh Carpet Cleaning® owns and operates a call center for its franchisees. It serves by answering phones, scheduling jobs and keeping a database of customers for Oxi Fresh Carpet Cleaning® franchise owners. Our carpet cleaning company franchise owners rest easy knowing that when customers call, the phone is being answered with professional and accurate information. Oxi Fresh Franchising CO owns and operates an exclusive call center for its franchisees. The Oxi Fresh Franchising CO Call Center staff answers phone calls, schedules appointments, provides information on our cleaning method, and maintains a customer database. Our carpet cleaning franchise owners rest easy knowing that when customers call, the phone is being answered with professional and accurate information. Oxi Fresh Carpet Cleaning® owners have access to their schedule 24 hours a day. The schedules are updated immediately and can be accessed from anywhere with an internet connection. Additional services available: upholstery cleaning and tile/grout cleaning. Personalized Oxi Fresh Carpet Cleaning® website. At Oxi Fresh Carpet Cleaning®, we understand that owning your own business is a big decision. In order to conquer all of your new carpet cleaning franchise fears and answer all of your questions, we have created a Discovery Day so you can "discover" first hand if this business is for you. Discovery day is conducted by our president and the discovery day team consists of Oxi Fresh Carpet Cleaning® executive staff members, franchise owners and distributors. Each member of the team has expertise is a specific area and will provide valuable small business franchise information to participants.